Hello! How was everyone’s weekend? Just got back from our cruise vacay and had the BEST time w/ my family. We are jet setting again this weekend, this time to NYC for more family affairs. Traveling is so not good for Zoey’s routine! 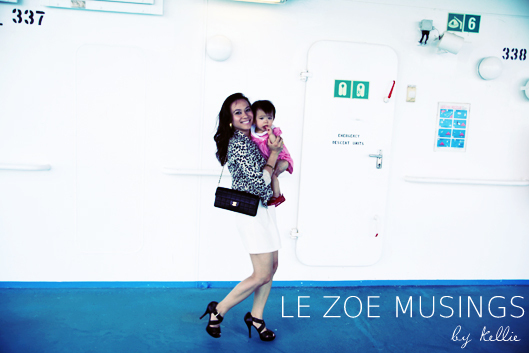 While at sea we did a few photo/video sessions for my newly engaged sis. They came out soo awesome and can’t wait to share a sneak peak! Anyhow, I don’t usually wear leopard (except for shoes + accessories) but while at sea I felt a little adventurous so I donned a leopard jacket and I must admit, it MADE the outfit. Nowadays, I’m All about gold accessories. 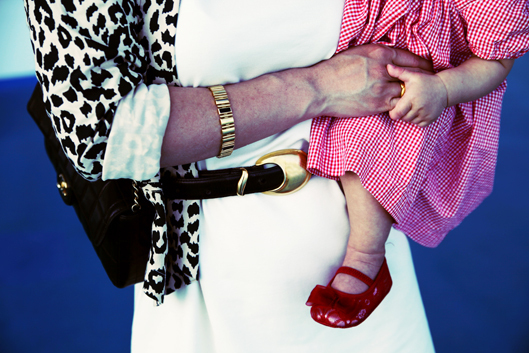 Zoey is getting sooo BIG and her red ensemble accents mommy’s outfit perfectly. Perfect view- nature, calmness, + vast blue ocean. Have you worn leopard, if not, would you dare?! Images taken by the husband. Isn’t he so talented?! Hope you had a GREAT mother’s day! 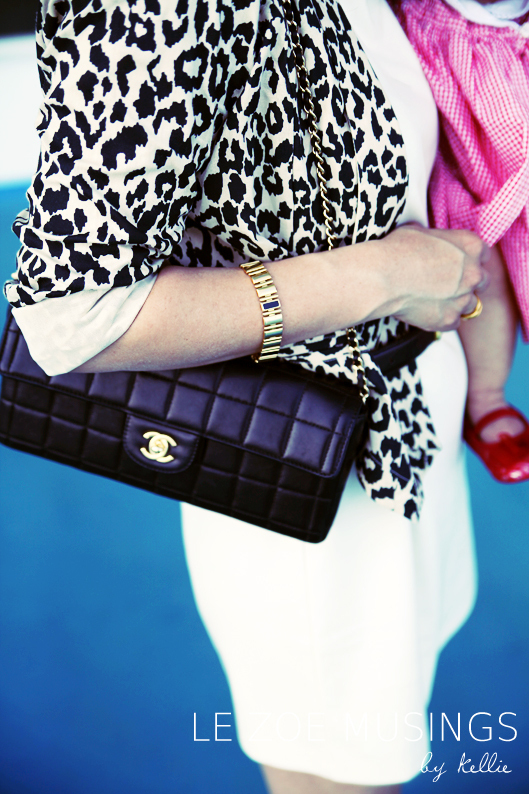 Love the bag with the leopard! So chic! Happy belated Mother’s Day Kellie. You and little Zoey look lovely. Great photography and fabulous style! Yes have done leopard print myself in the past and would again. I dont own anything leopard print at the mo but wouldnt rule it out. One of my most used hand bags is leopard print and my winter coat is zebra print. I also have a vintage dress my mum gave me which is tiger print although I can’t quite fit into that! Thank you for the like, and for checking out my page. I have never worn leopard. My closest encounter to anything that bold was in a production of Aida, for which all the male dancers appeared as drag queens, and for which I donned purple fur, which I would not wish on anyone. Anyway, stick to the leopard. The leopard is good. And thanks again. Looks really good on you, so stylish! I’m also in to the leopard accessories and shoes, love it! Your dress in these shots is beautiful, it’s so elegant and simple. Thank you for liking my post, I hope you’re well. 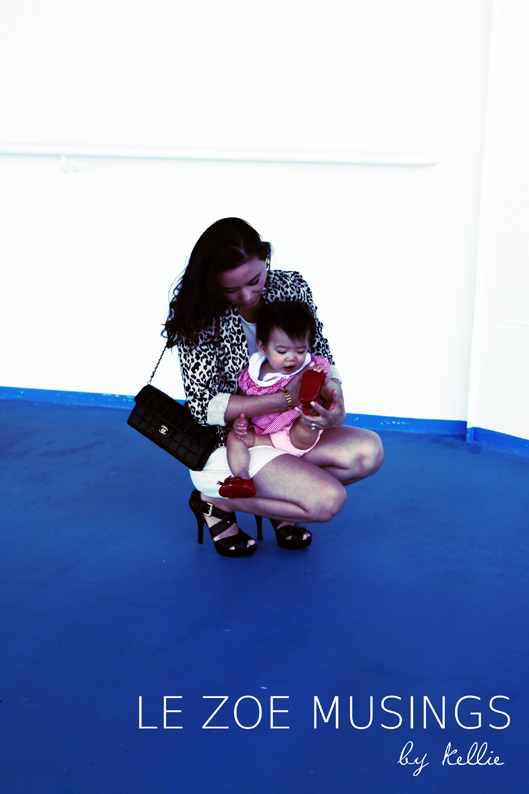 Such a cute outfit and awesome photos on her cruise!